We’re as excited as everyone else — two of baseball’s most storied franchises facing each other in the World Series for the first time since 1916. Games 3, 4 and 5 (if necessary) will be at Dodger Stadium Express and I doubt anyone wants to be sitting in traffic while baseball of such extreme consequence is being played. 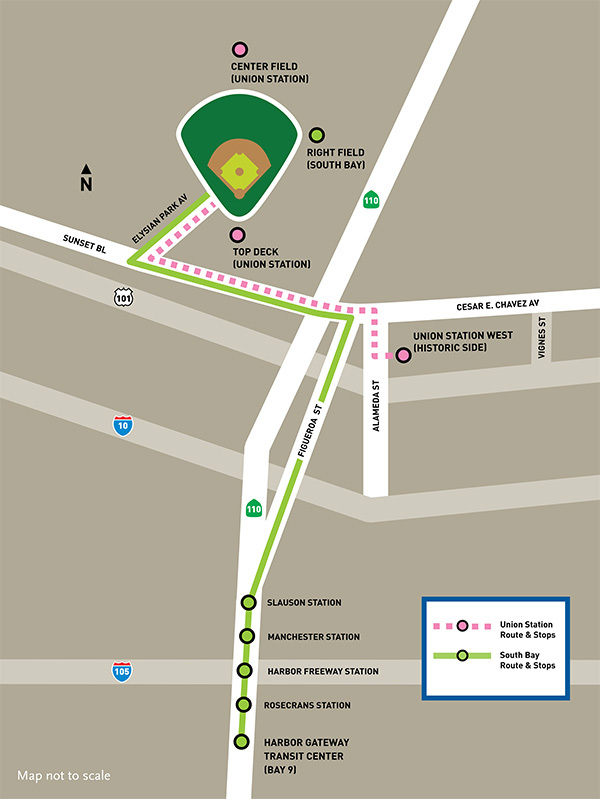 The Dodger Stadium Express runs to the ballpark from Union Station and Harbor Gateway — and has its own lane on Sunset Boulevard, making for some pretty quick trips to the stadium. And this: the bus is free to those holding game tickets. All the details on where to catch the bus are below and there’s even more info on the Dodger Stadium Express page on metro.net. Some Metro stations have free or paid parking — more info here. Parking at Union Station is $8 but tends to fill up quickly during the baseball post-season. Metro’s system map is at the bottom of this post. Many bus lines serve Union Station and Harbor Gateway. Union Station is also easily reached via the Metro Red/Purple Line subway and the Gold Line from Azusa and East Los Angeles. All maps and timetables are here. Metrolink commuter rail and Amtrak also both serve Union Station. Board near the passenger drop-off/valet area near the Mozaic Apts. Your Dodger ticket is good for the Dodger Stadium Express fare only*; regular Metro fares apply on all other connecting bus and rail service. The Dodgers need to look into offering a paid version of this from several other places around greater LA. Working with large malls and having a few different vendors run the service would be nice. $4 or $5 a head for a trip to and from Van Nuys or Arcadia or Inglewood or Downey, etc. would be great. Also, Metrolink had the service to Anaheim, maybe a special train from there to LAUS would work. Please load two buses at at time at Union Station. Last game one bus was being loaded while 5 were in line waiting. 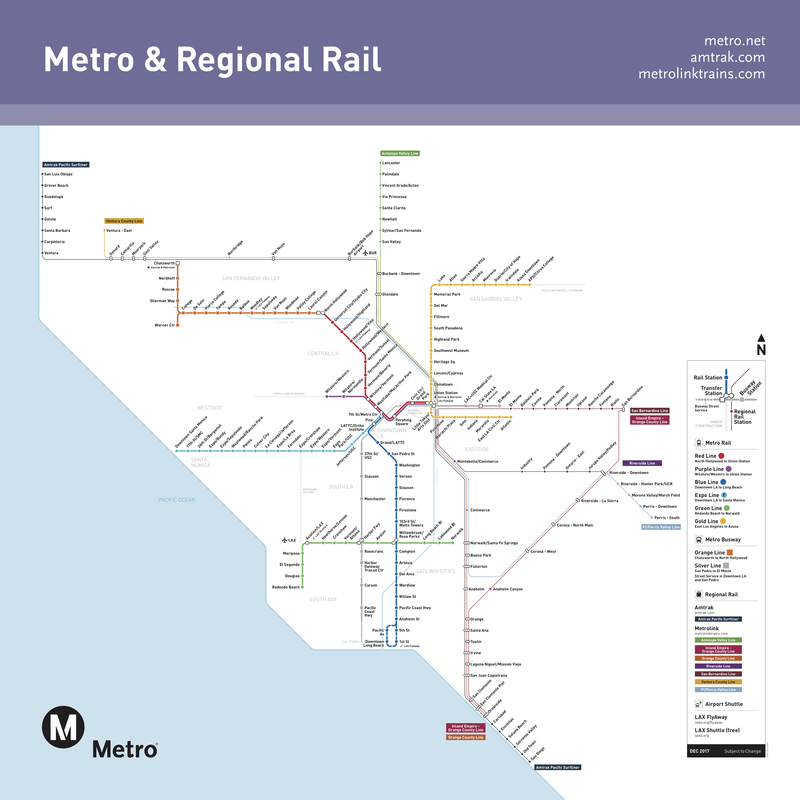 The Metro alerts web site shows the Purple Line will not run on Friday and Saturday nights from Wilshire/Vermont to Union Station. if that is the case, there will be 20 minute service leaving Union Station instead of the usual 10, and very unhappy people missing their connections to light rail.